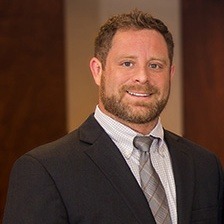 Erik Smith is a graduate of South Texas College of Law – Houston and is a criminal defense attorney for Evans & Powell, PLLC. Erik was raised in Houston and graduated from The University of Houston. Erik has clerked for a collections firm and worked as an intern at the Harris County Public Defender’s Office where he helped defend indigent clients against criminal allegations. Additionally, Erik is an ACS-CHAL Lawyer Scientist. Erik has certificates in Forensic Chromatography: Theory & Practice, Forensic Analysis of Solid Drugs, and Forensic Principles of DUID issued by Axion Labs and the American Chemical Society. Erik moonlights as a local musician and you might find him performing onstage at venues across the Houston area. Erik also has a teenage daughter and together they enjoy training in Brazilian Jiu-Jitsu.